Meet local YA author Molly Bilinski on Friday, June 9th from 2:30pm to 4:30pm! 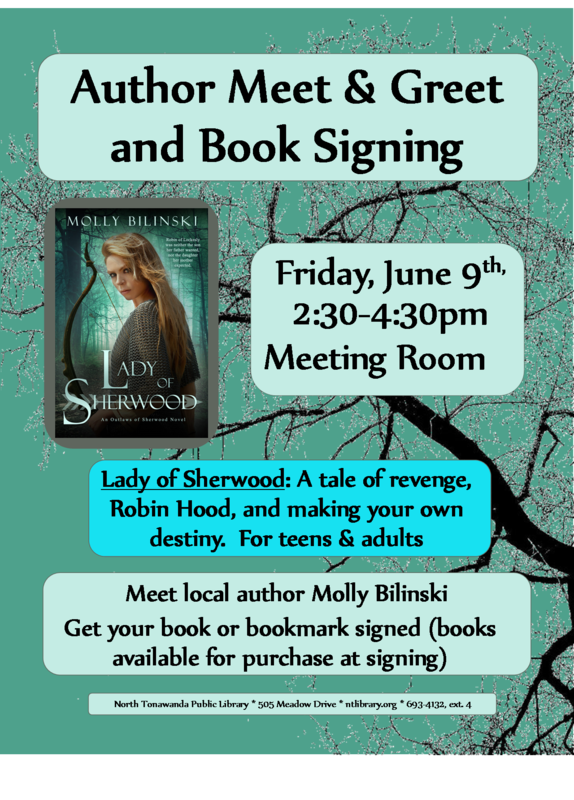 Get your copy of Lady of Sherwood signed–copies will be available for sale during the program via the Friends of the library. Bonus: Enter to win a signed copy at the Information Desk through the 7th.